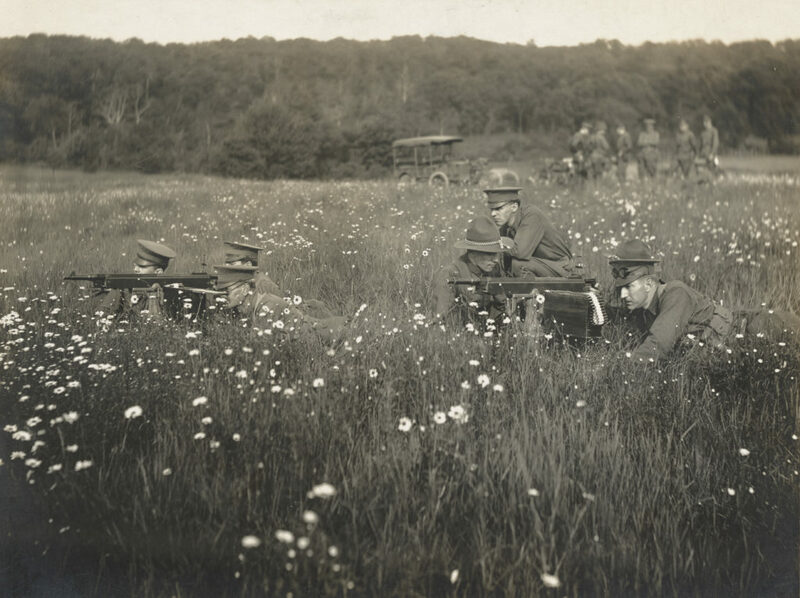 When the USA declared war on Germany (although not on the Central Powers) in April 1917, there was an unprecedented scramble to fill the requirements for modern warfare. 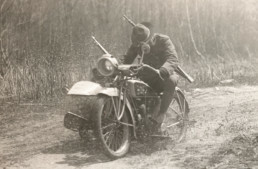 Among the novelties: motorcycles that were used for messenger duties, or as mobile gun platforms, or even highly mobile (and highly uncomfortable) ambulances. 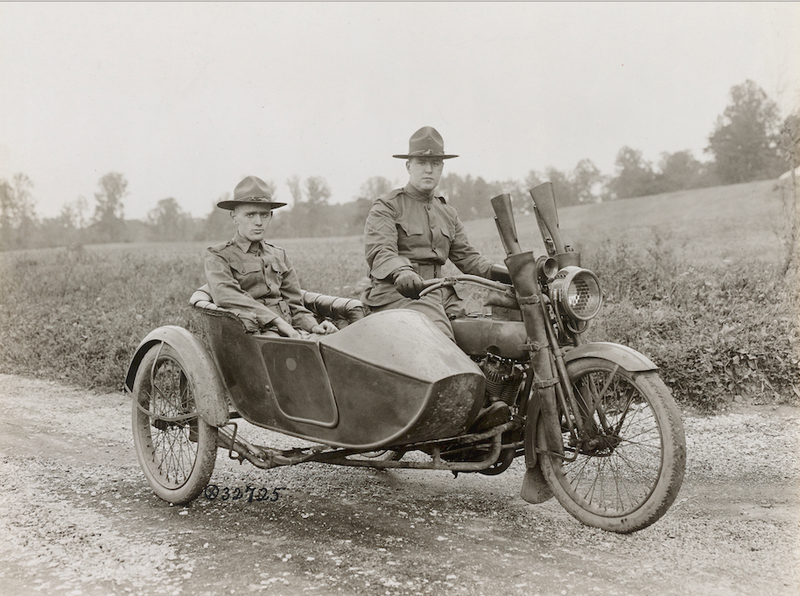 While President Woodrow Wilson had expanded the navy in the ‘Teens to protect the supply chain selling American-made goods to the British and French, he hadn’t built up ground or air forces, thinking this would deter the USA from joining the war that had already cost millions of lives. 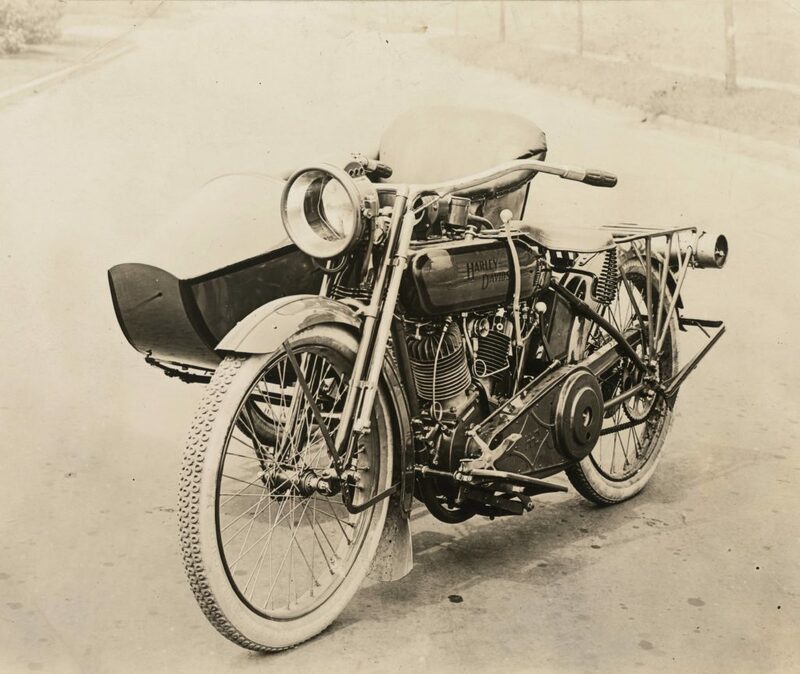 With the US suddenly on a war footing, all the major manufacturers (and some minor ones too) were invited to submit motorcycles for testing, as tens of thousands of motorcycles would be required for war. 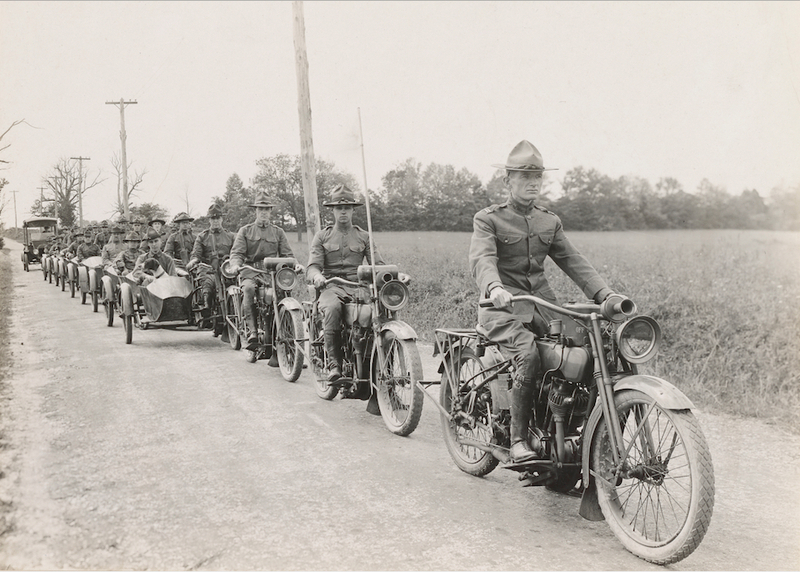 European armies were using hundreds of thousands of motorcycles by 1917, but the initial American order was low; only about 20,000 motorcycles. 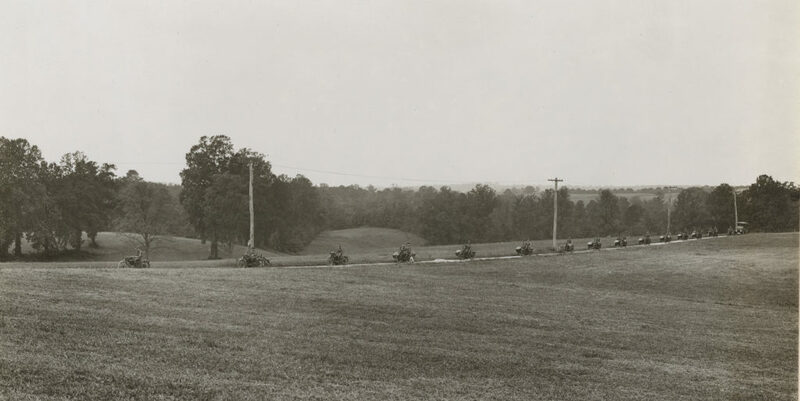 That number would increase over time, and to secure more orders, Harley-Davidson offered clever enticements like free training at mechanic’s schools for servicemen. 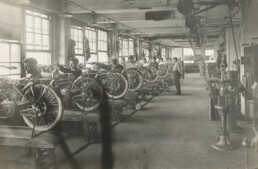 Indian Motocycles won the largest contracts at first, as they were a much larger company than Harley-Davidson, but Milwaukee was well represented in the war. 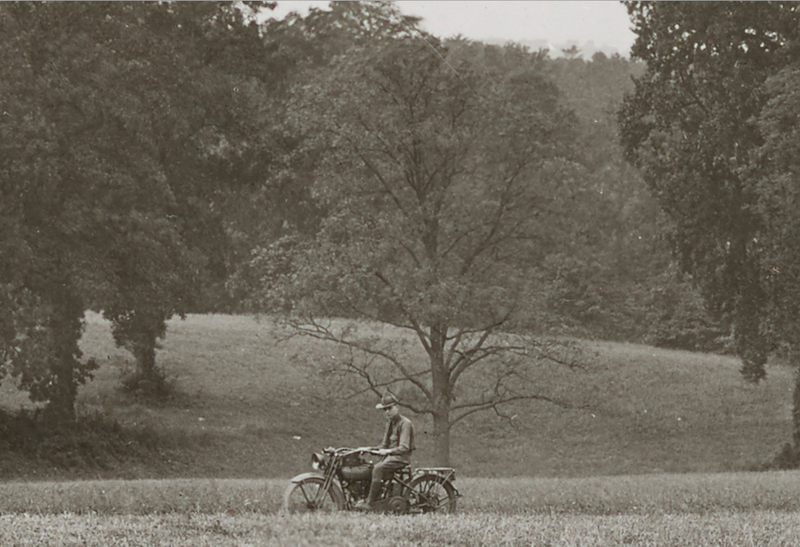 These photographs are part of our series of images discovered in the National Archive on their 100-year anniversary. 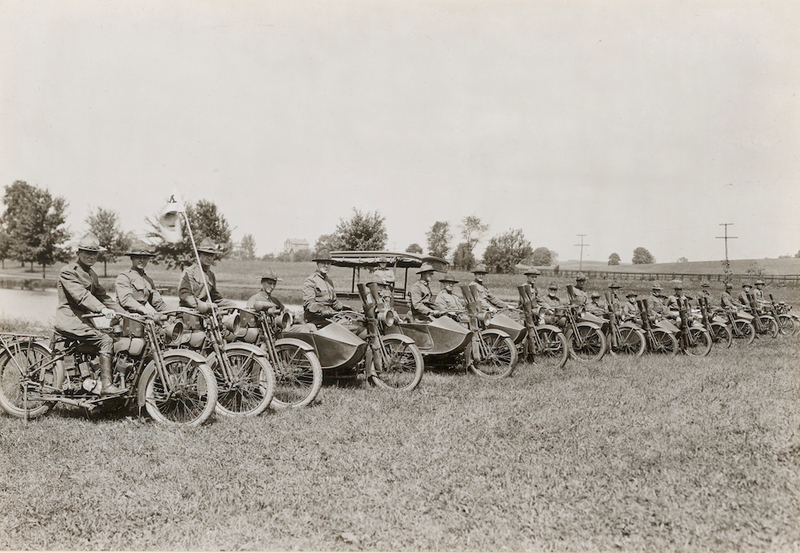 They’ve never been published as far as we know, and represent the US Gov’t keeping tabs on the manufacturing processes and products of its military suppliers. 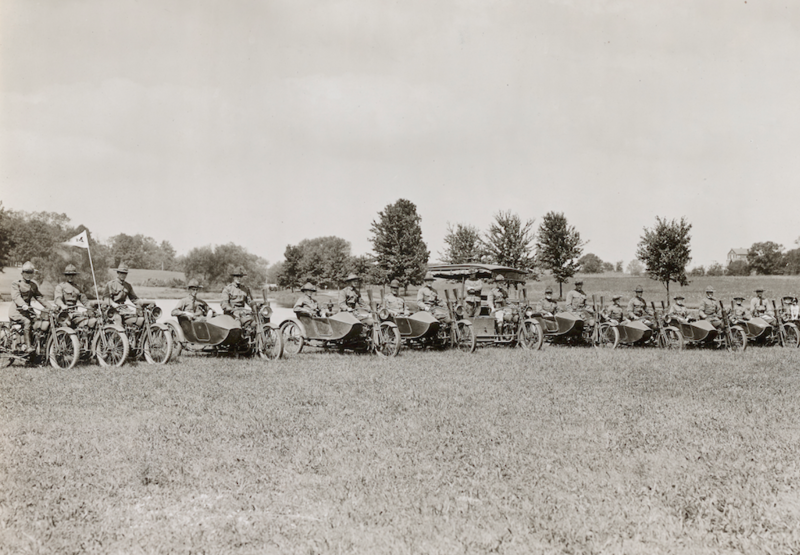 This series shows Harley-Davidson motorcycles and sidecars on display and in use by the US Army, in many different configurations, almost as a rolling catalog on a military base! 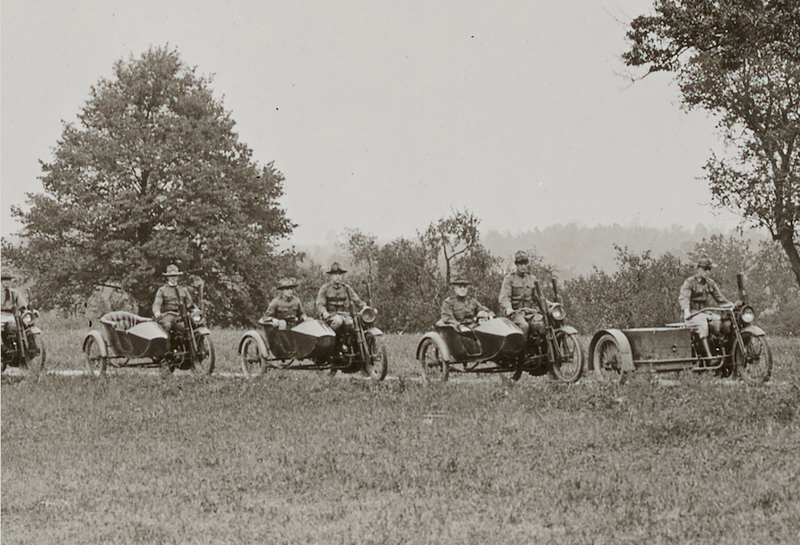 Take a look at our other articles from 1918 here. The seventh picture from the top are Indians. Noted and amended, thank you! You win the keen-eyed award for this week!